We made the Whatchamacallit so that we could eliminate that awkward bump in your pocket. We know that people stop and stare at the yoyo that is sitting in your pocket, so we just decided to make that thing hang off your belt. 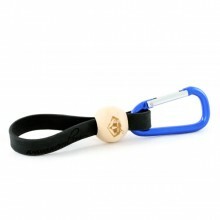 The bands come in glow in the dark and black and are probably the most stylish yoyo holsters around.